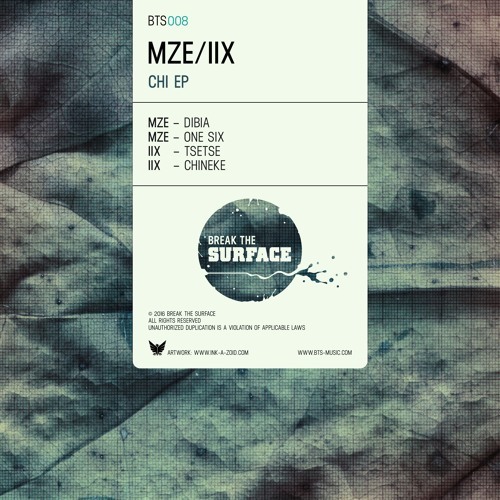 Leipzig label Break The Surface are back with a great new EP from multi-identity producer MZE aka IIx, who showcases his take on the halftime sound across four cracking new tracks. The halftime sound can sometimes be accused of being “deep” to the point of boredom but that’s definitely not the case here; tracks like Dibia and Tsetse have more than enough playful drum syncopation and bassweight to make bodies move in the dance. Even the more groove-led One Six has a hypnotic appeal, bringing in influences from dub and techno for a mesmerizing journey. Check out the clips below and hit up Bandcamp to grab the Chi EP right now!